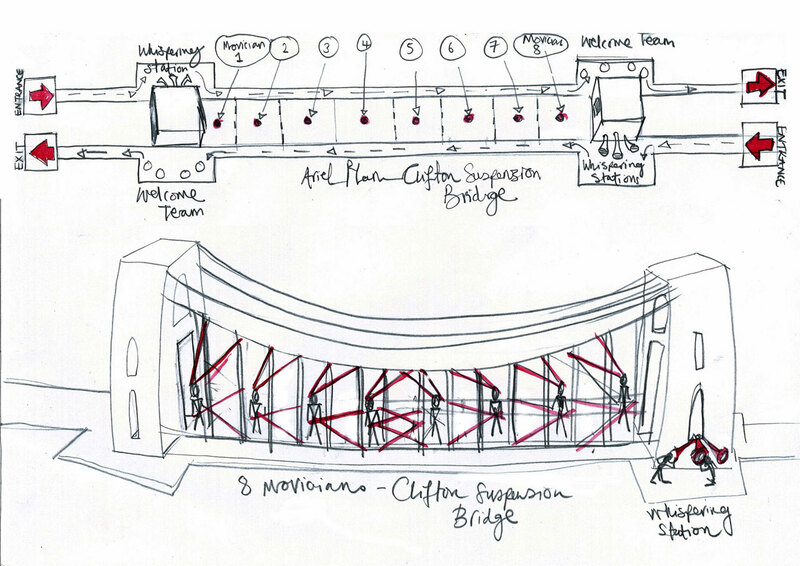 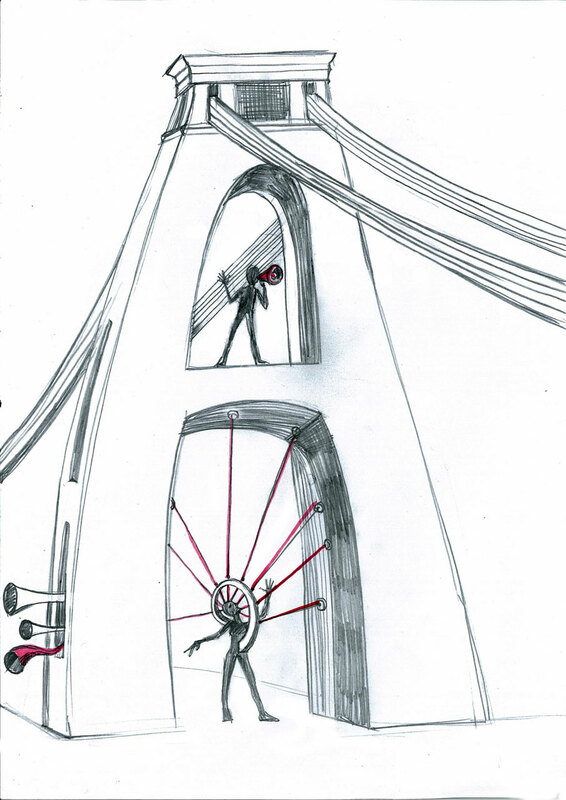 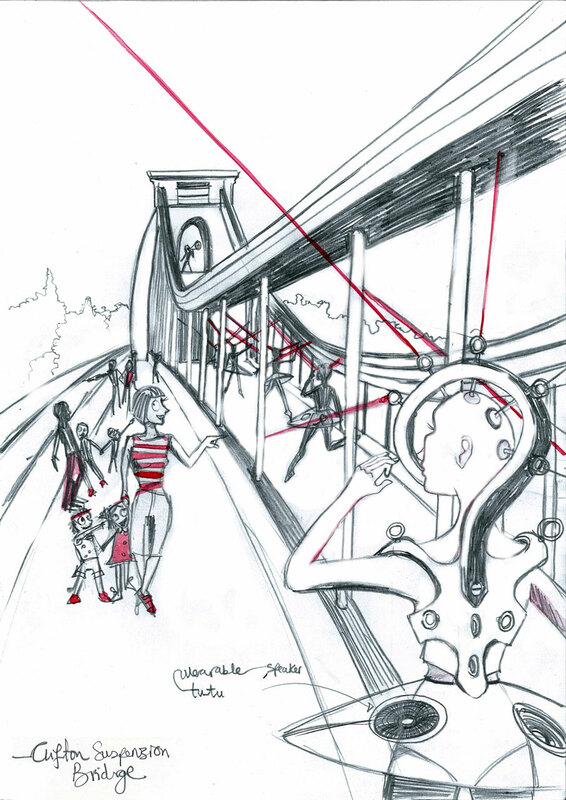 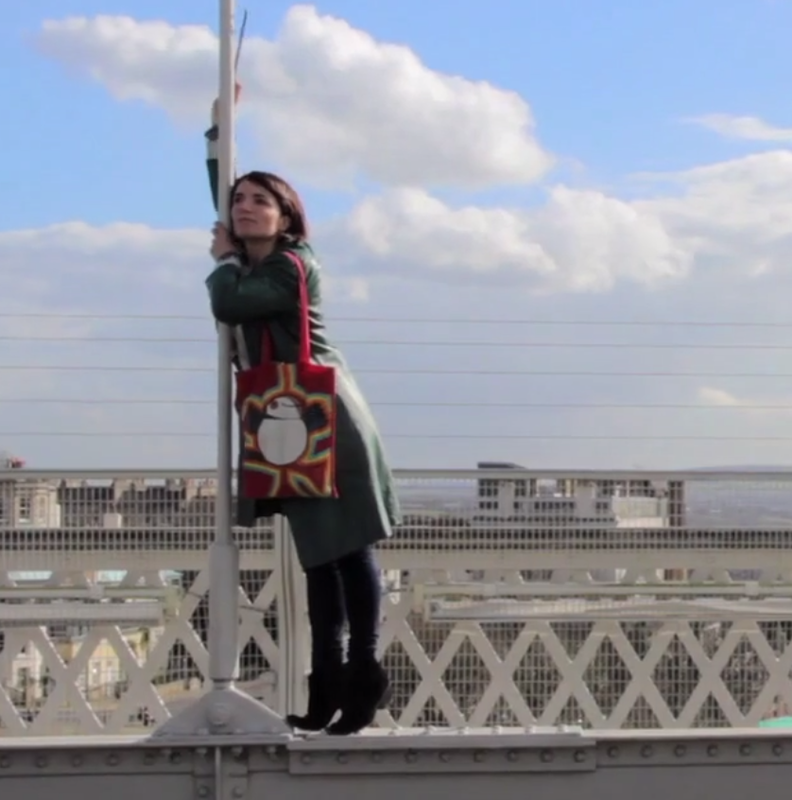 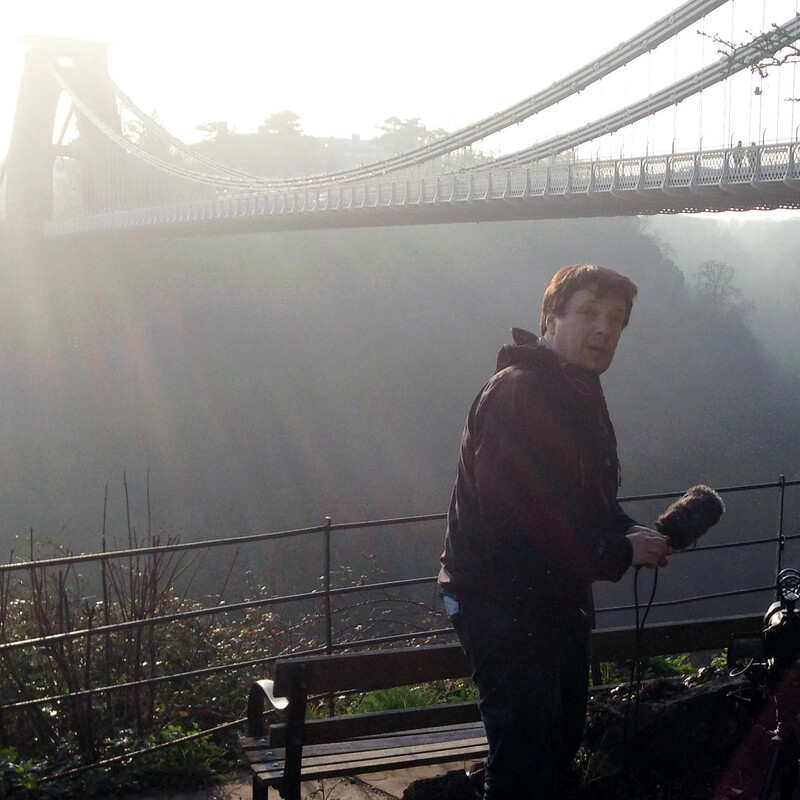 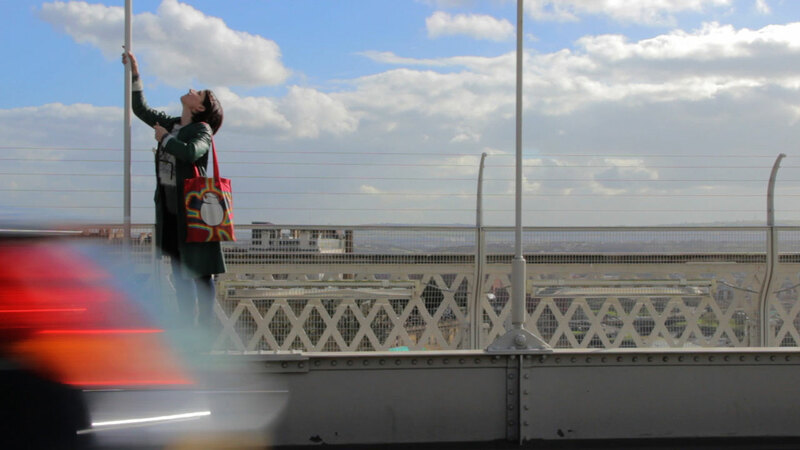 what would a performance look like on Clifton Suspension Bridge? 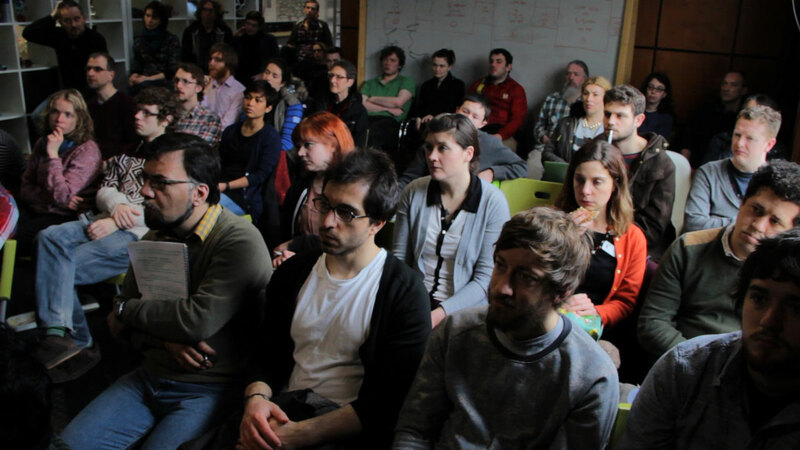 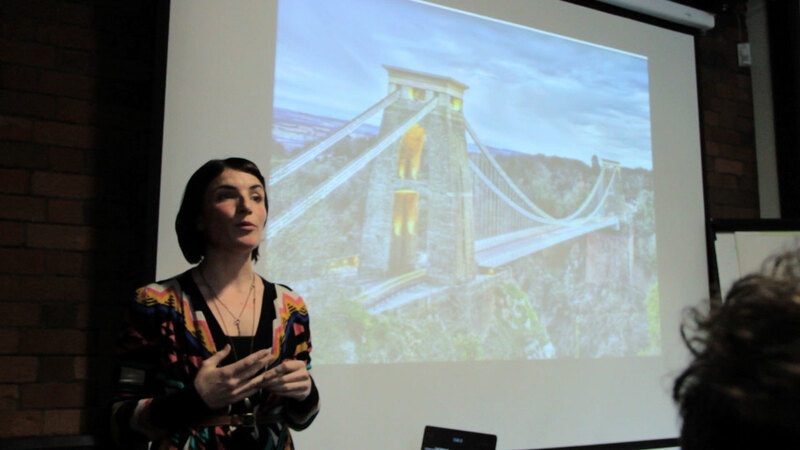 Verity McIntosh invited Di to give a talk at the Pervasive Media Studio at the Watershed in Bristol. 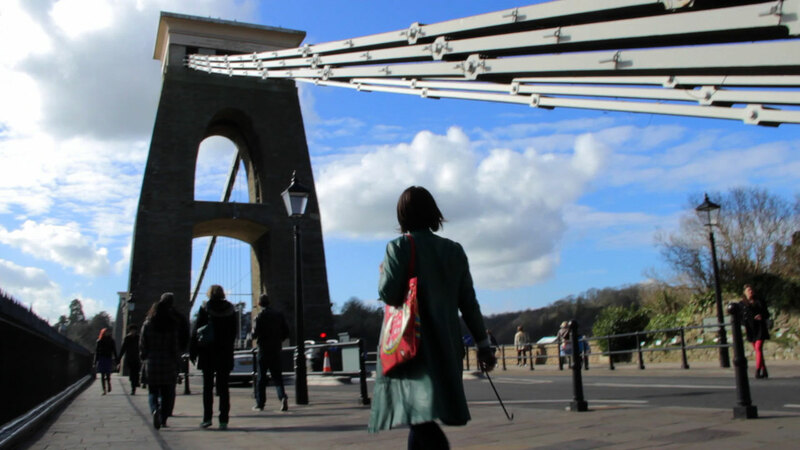 The aim of the talk was to connect with the creative community in Bristol to discuss ways to transform Clifton Suspension Bridge into a giant harp! 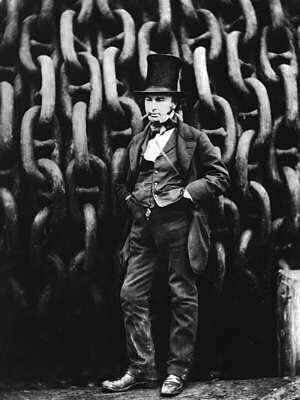 The aim of this visit was to explore unique ways to make Isambard Kingdom Brunel’s bridge sing, in celebration of the structure’s 150th Anniversary on December 8th 2014. 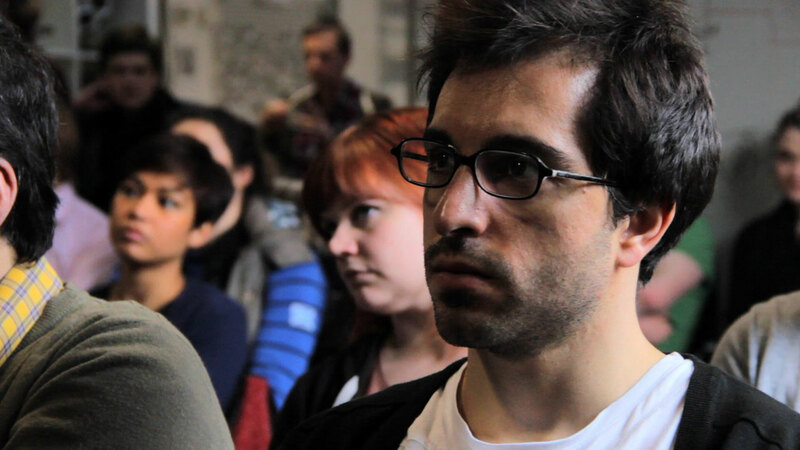 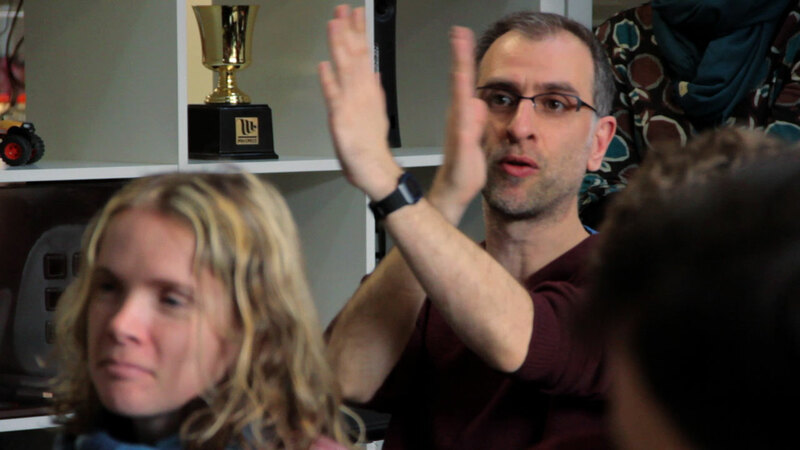 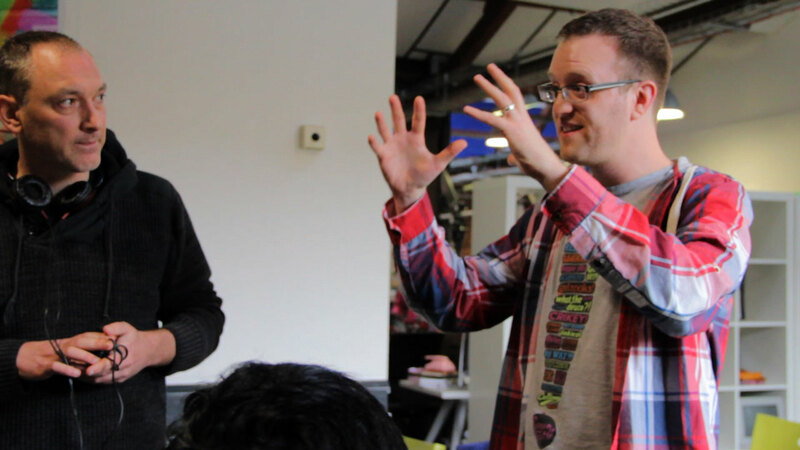 Great discussions were had at the Pervasive Media Studio about ways to play the bridge. 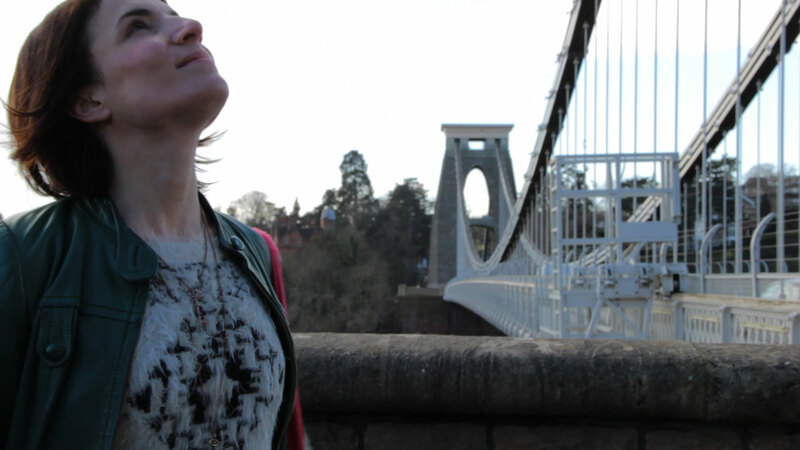 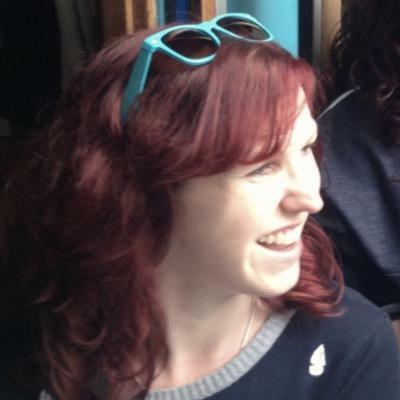 Di also made a call out for Bristolian partners to join in Human Harp’s creative bridge workshops. 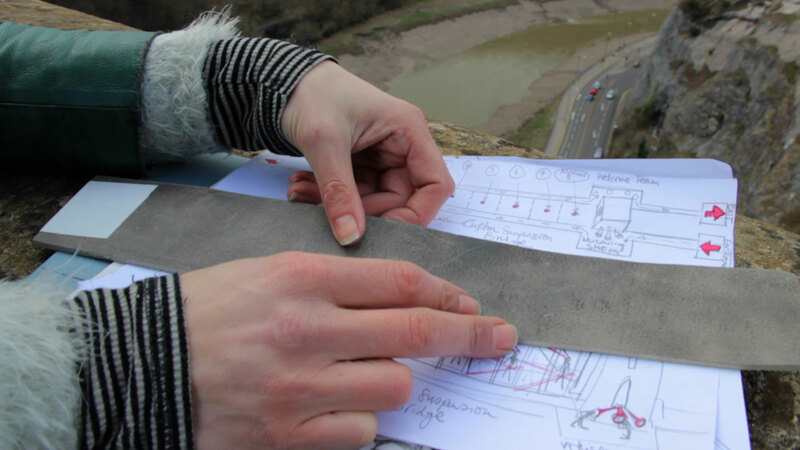 She spent the rest of her time in Bristol sketching ideas for the performance on the bridge. 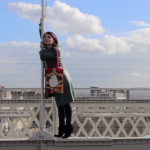 She also took the opportunity to test the sound of the hangers or cables using a “bridge donger” fashioned from a long pole.